Start your fun-filled music tour with pickup from your hotel or local accommodations and enjoy transportation to and from three historical Memphis music attractions- Stax Records, Sun Studio, and the Rock 'N' Soul Museum. Learn about some of the greatest vocalists and musicians who recorded in Memphis, including Elvis Presley, Johnny Cash, Otis Redding, and Ike and Tina Turner. All of the museums display artifacts of the various entertainers that are sure to impress! 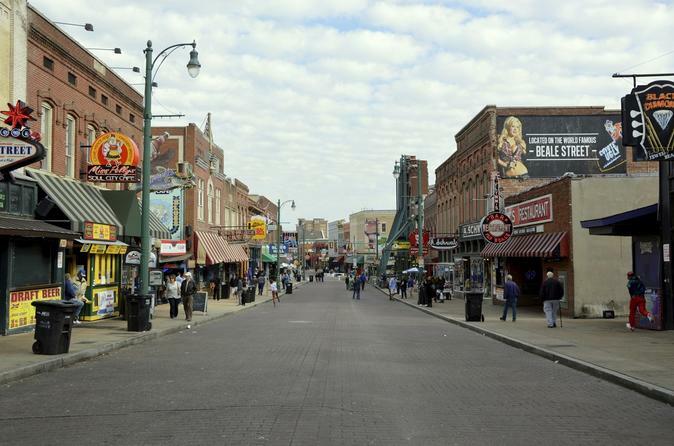 On this tour of Memphis' musical history, enjoy roundtrip transportation between your hotel or local accommodations and three main attractions. You'll be driven to and from and allowed roughly 1.5 hours at each to explore. After pickup, begin your tour at Sun Studio- known as "The Birthplace of Rock and Roll" and Memphis' own mecca of music. Opened in 1950, the studio was the recording site of the supposed first rock and roll single - Jackie Brenston and his Delta Cats' Rocket 88. From there Sun Studio took off, signing iconic rock and country artists like Elvis Presley, Johnny Cash, Carl Perkins, and Jerry Lee Lewis to its label and continuing to serve as the recording site for these superstars. Next, continue on to the Rock ‘n’ Soul Museum’s exhibition of the birth of rock and soul music. Created by the Smithsonian Institution, the museum tells the story of musical pioneers who, for the love of music, overcame racial and socio-economic barriers to create music that shook the entire world. Finally, visit the Stax Museum of American Soul Music- the world’s only museum dedicated to preserving and promoting the legacy of American soul music. Located on the original site of the Stax Records studio, the Stax Museum pays special tribute to the artists who recorded there, as well as other American soul legends, and boasts a rare and amazing collection of more than 2,000 artifacts, interactive exhibits, films and galleries. After a fun-filled day exploring Memphis' musical roots and history, you'll be driven back to your pickup location.